While it may be a bit slow for those unfamiliar with Japanese film sensibilities, Eastwood has achieved another impressive coup by making the type of classic war film we all knew he was capable of making. Plot Summary: Sixty-one years ago, U.S. and Japanese armies met on Iwo Jima. Decades later, several hundred letters are unearthed from that stark island's soil. The letters give faces and voices to the men who fought there, as well as the extraordinary general who led them, Tadamichi Kuribayashi (Ken Watanabe). With little defense other than sheer will and the volcanic rock of the island itself, Gen. Kuribayashi's unprecedented tactics transform what was predicted to be a quick and bloody defeat into nearly 40 days of heroic and resourceful combat. In an effort to explore an event that continues to resonate with both cultures, Clint Eastwood was haunted by the sense that making only one film, "Flags of Our Fathers," would be telling only half the story. With this unprecedented dual film project, shot back-to-back to be released in sequence, Eastwood seeks to reveal the battle of Iwo Jima--and, by implication, the war in the Pacific--as a clash not only of arms but of cultures. © 2003 - 2019 by SkinBase. 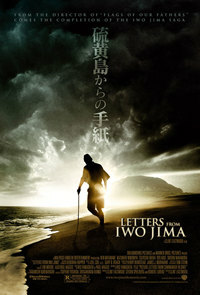 Letters From Iwo Jima Wallpapers @ CoolWallpapers (US Nastja Edition) : Browsing 65 user(s) : 22.4.2019 :.